WILLIAMSBRIDGE, Bronx (WABC) -- The FDNY worked for about a half hour Monday to rescue two men who became trapped 10 feet down in a trench in the Bronx. 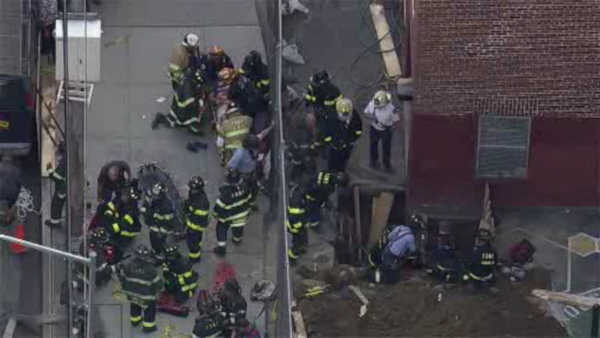 The dramatic scene played out near Fish Avenue and Hicks Street in the Williamsbridge section around 5 p.m.
After shoring up the hole, firefighters got the victims into a basket and brought them to safety. There was no immediate word on how they became trapped in the trench.